Founded by Owen Johnson and Brewmaster Sean Larkin, Revival Brewing Co. released their Double Black IPA in November 2011. Since then, they have created a selection of over 20 different unique and innovative craft beers. 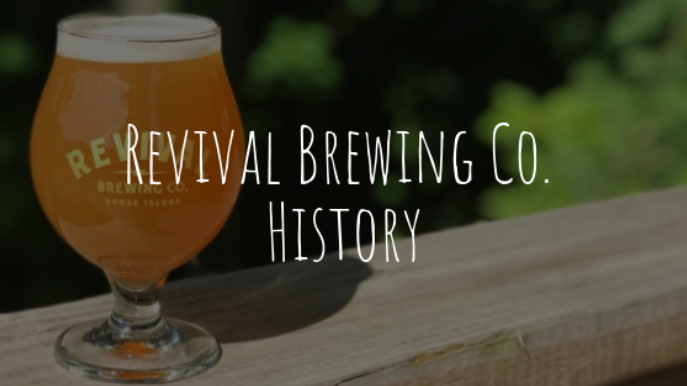 Revival Brewing Co. has some of the best beers in the US. Brewmaster Sean Larkin has been perfecting his craft for over 20 years and has collected a number of awards including a medal at the 1996 World Beer Cup. Co-founder Owen Johnson shares his love of beer and has been brewing at home for more than three decades! This New England based brewing company is the passion project of two beer lovers dedicated to bringing you the tastiest most innovative brews possible. If you want to have a true Revival Brewing Co. experience, visit their tasting room Monday to Thursday from 12-8pm, Friday and Saturday from 12-10pm or Sundays from 12-6pm. They also offer group tours to give you a behind the scenes look at their locations. You won’t be disappointed, head on over to our locator and find out where you can get your hands on your new favorite brew.